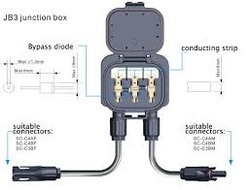 Our range of products include array junction box, vfd panel, cpu e05-lt module and solar junction box. The Variable Frequency drive panel( VFD Panel) also known as Digital VFD Drives and these panels are used for VFD squirrel cage induction in motor control application. Our VFD Panels available in various dimensions and standard sizes as per the client specification. 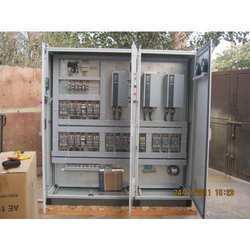 These VFD Panels are tested on various parameters before being supplied to the client. We use VFD as per customers preference. For starting surge control application even soft starter are used and we also provide soft starters panel where the soft starters of various makers offered. 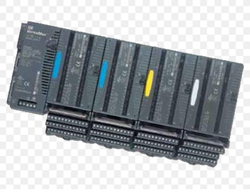 We offer CPUE05-LT which can serve as the system controller for up to 64 modules with up to 2048 I/O points. Two serial ports provide RS-232 and RS-485 interfaces for serial communications. CPUE05-LT also provides a built-in Ethernet Interface. The RS-232 serial port can be configured for Local Station manager operation to provide access to diagnostic information about the Ethernet interface. CPUE05-LT has 64kB of configurable memory. In addition, CPUE05-LT is compatible with the EZ Program Store device, which can be used to write, read, update, and verify programs, configuration, and reference tables data without a programmer or programming software.
. Compatible with EZ Program Store device.